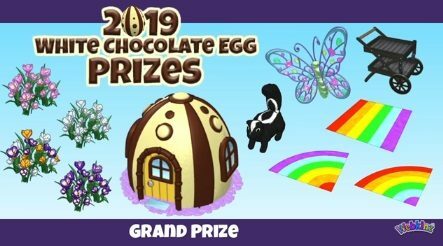 This podkinz also gave us a code for both of the 2018 eggs which you can find on the Community Codes Page! i do like the skunk! dee – ROFL – i love the skunk & can’t help but think of you every time i see one since your visitor!!! Still sick and it’s getting annoying. I missed class yesterday and it wouldn’t be a good idea to miss tomorrow. I have a paper due and we’re having an in class discussion that we get get points for. Could get a doctors note for it but my doctor said not to come in unless I have a fever. I may have to bother him and waste his time and my money anyways if I need that note. Almost have a presentation I need to record a voice over for but I sound disgusting and sometimes it hurts to talk. This wasn’t a good time to get sick. Hey! I just got to level 2 on crystal seas thanks to Dixie! Woo Woo! I think I’m at about 75 KC total accumulation. Moving right along. Time for lunch break. Moms – thanks for info on helping paws. I am my own friend and I thought I was quite active, but I only get the coins. I will check out those links later. Choco – Feel better soon! That stinks to be feeling punk when you have so much to do! anyone ever get something in their eye every time they watch touched by an angle? Hi, everyone! I thought for sure I posted a comment earlier today! But maybe I forgot to hit submit. Well, Queen of Sheba, I can tell you this much about the Helping Paws. I spoke to the one friend I was certain had made it possible to have that reward and she admitted it. She adopted a Rocker’s Lion to her account last week when it went free. And she has been on every day collecting medallions, she wants the Kiwi (even though I told her that it doesn’t extend her account) She thought that was ok, considering she had already adopted the lion. So, I am assuming she is spending all that time getting 4 medallions and doing the unicorn quest. That’s probably why I got the rewards. So ready for a little time off… so much computer talk…starts Monday… Patients will be greeted by a 5 foot computer on wheels with a nurse/MA attached !! Things will be rather chaotic for next few weeks with new system and assure us that there will be plenty of IT people there to guide us through ! We’ll see..
Dixiecup.. Congrats of Wacky blaster trophy !! Queen of Sheeba.. are you new to the Helping Paws ?? I can send you some items for your room.. Let me know..
dee… love those sappy shows ! moms… thanks for the pictures of the upcoming egg giveaway… I love the skunk too ! That’s weird, Gaga, yesterday they were coming in every 5 minutes for me and I was able to get them done in no time after work. Am I the only one who can’t do the peek-a-newz because the site is bogging down so badly? 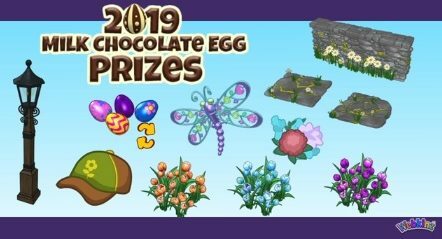 wackyer weekend though – those aren’t new prizes, right? I usually get kc coins from the helping paws thing. Got a table a few weeks ago and I was so confused, but I think it was because my boyfriend adopted a Webkinz. There are some cute items, maybe I should convince him to play more. Choco, dh gets bad stuffy too. He said try Sinex. Severe by vicks. Said it will help you breath! Gaga. .good ol Jimmy Durante. Cha cha cha! Lol am I really showing my age or what? Cute name! Re 5 .. never watched that show..sorry. But if it helps..anything remotely sad..you know, like sad puppy eyes…can cause eye issues these days. Eye dr said it was life changes. Dee, I found the kiwi medallions came every 5 to 6 mins on mobile site. I found it way faster then on my lap top..although much more boring. Gaga..sorry the wrinkle cream didn’t work. FYI if you didn’t know. If you bought it in a store like cvs and still have receipt you can take back the unused portion and tell them it didn’t work and get money back..girl at cvs told me if stuff doesn’t do what is claimed I have 60 days to use it and still get money back..regardless if almost all gone!! I don’t know,about other stores, but cvs does it with most products like that. So if I can get stuff there even if more expensive, to try it..I do..then if it don’t work..I get my money back! Well I finally remade gall bladder surgery date for me..may 2nd. Hubby has to have the heart surgery as medications didn’t work, should have a date by end of next week. I’m scared about it, but it has to be done. He went to lawyer early this morning and made his will. He hadn’t even told me he’d made an appt. To do one! It just seemed so morbid, but it had to be done. We arent getting younger, and we are both guilty of putting important things off…after this last year we decided to put everything in order..better late then never I guess?! It just kinda shocked me I guess…makes everything happening too real. Ok, off to play ww…hope everyone had a wonderful day! Hugs!! helpful hint…..i cut the brats and sausage about 2/3 thru to get maximum grillage surface…………dh is happy………and i will not have to cook til sunday! you gotta watch a touched by an angel and tell me it did not make you cry! dh does not get it, why watch a show if it makes you cry? i read somewhere that it is cathartic to cry………….not for sure what the word means other than good………. Thanks for posting the links about Helping Paws, Momz! I have helped four people join, two of them after helping paws, but I forgot to give them my code. So NOW I am my own helper. All I get from it are KC coins, usually 500 KC. I was disappointed to not get furniture, etc. But I’ll try to figure it out. Gaga – I’m not sure what I want yet from Helping Paws. When I figure it out I will add to my wish list. Dixie – I finally got to level two in the Crystal Seas game thanks to your tips. I haven’t had time to try it today, but I’m hoping that I can go further. Dee – Good grief! I’m overwhelmed already, and now a mini-golf challenge? Not sure I will have a chance to help with community challenge because I’m so busy in RL now. Good luck with your herbal garden, Dee. I don’t have any tips for you because I seem to have a knack for green things dying. Oh…as far as crying goes….I read somewhere recently that shedding tears is a way of cleansing the body of toxic substances. I mentioned that to my husband and it said it is no wonder that women live longer than men. Hmmm….not sure that is true because I have lost many girlfriends in my life, whose hubbies are still living. But it is an interesting thought. Wonder if there is validity to it…..
Dixie – PAN isn’t working for me! I just clicked on a cub, entered my account and then the whole site went blank. comment 25 – you know what herb i’m going to suggest . . .
Dee, it means using strong emotions to purge feelings, which then makes you feel deep relief. And, I was just going to mention an herb for your garden.but moms beat me to it lmbo! And Dee, I’m not sure I WANT to watch the show..too many cry over it ..I don’t like getting my nose stuffy, and I cry enough as it is. Hopefully the change will stop soon..ugh…a girl can only hope. I was just using pan, it was working, then the whole webkinz newz froze. Now can’t get back in newz at all, they must be working on the site. DEE I have a medicinal herb garden in my yard! I’m growing it slowly, but I have Echinacea, hyssop, yarrow, clover, violets, chives, lemon balm, pineapple sage, thyme, sage, calendula, borage, and others, non-medicinal- black-eyed susan, columbine, coreopsis, blanket flower, butterfly weed, milkweed, bachelor button, and more! I’d LOVE to find some motherwort, and I’m always looking out for mountain mint (because planting regular mint is insanity). You should check out Chestnut School of Herbal Medicine’s social media for more ideas! I.. don’t know which plant Moms was going to recommend. I’ll probably get it in a few days “Mombrain” makes my brain not work good. 8 minutes for me here with Medallions too. Managed to get them all each day so far, clicking back and forth between WW and my Transformers comic. Kitty Clover is settling in well. Her tummy incision where she was spayed got infected, AND she had a kitty cold from the shelter, and was lethargic and spiking fevers up and down- we took her to the vet last Sunday, and got her put to rights. The vet staff ooh-ed and aah-ed over her- how chill, friendly, calm, sweet, etc. Kiddo turned 3 on Monday, and his kid party is tomorrow- cake, chick-fil-a catering food, and he’d getting some awesome presents that he’s going to LOVE. We’re excited. His cake is a cupcake pull-apart cake shaped like a “3”, and designed to look like a construction site. Spring is finally arriving here this weekend !! Predicted to be 70 tomorrow.. Can’t wait to open up the windows and get some fresh Spring air ! Kiwi Medallions really slow this morning….every 10-11 minutes..
dee… have you every watched Highway to Heaven ?? Another tear jerker ! Puma… Happy 3d birthday to your kiddo ! Hope you have a great time today..lots of memories in the making.. Is you kitty any better ?? Chants… probably won’t take the wrinkle cream back but won’t buy it again.. there are a lot worse things than wrinkles !! Choco .. Hope you are feeling better today ! moms… nice that medallions appear every 5 minutes !! Any idea why some accounts take longer than others ?? number of pets ?? Are you following the Final Four ?? Dixiecup.. I am getting much better at the Treasures of the Crystal Seas game thanks to your tips… have a ways to go but not so frustrating… and I am finding that I am starting to like the game ! Queen of Sheeba… will keep an eye on your wish list for HP items you want ! dee – i planted some lemon balm a few years ago, and it spread like CRAZY! it smells good, but it actually grew out of the bottom of the pot & spread in the flower bed as well. i have a couple of different mints in a pot as well. and rosemary … i have tried to grow cilantro for salsa, but it wasn’t successful. i need to try again. i grew tomatoes last year & am going to do that again this year, but i have to plant them in a raised planter bed up on the fenced in deck or the deer eat all of them. i’m going to plant some for the deer in the back yard. Done with taxes as of 10 minutes ago! Whew! As I’ve been working on them I have had an account up at all times and seem to like the background of the one of the lighter pets on medallion page for spotting them. Haven’t done the Crystal Sea game for the last two days. Glad you have been able to finish it Moms. Not able to participate in herb talk. Not a gardener like most of you. Gaga – I’ve been following the final four. What a game tonight between Auburn & UVA! A nail biter for sure! Wasn’t sure which way it would go! On a different note, dd was up all of last night losing dinner. It seems to be a 24 hour bug. Crossing my fingers and hoping that dh and I don’t get it. Oh, and happy birthday to your 3 year old, Puma! Have a fantastic time at the party! I remember those days fondly! My youngest is 20 years older than your kiddo! puma – happy birthday to kiddo! i hope the party was a blast!!! QoS – 20 years older & still your baby, right?! oh i hope you don’t catch that bug! ugh! that’s the worst!